Superdry women's Core down hooded jacket. Lightweight yet oh so comfortable, the Core down hooded jacket features a 90/10 premium duck down filling for fantastic insulation with a very high fill power rating, bungee cord adjustable hood and single layer zip fastening. 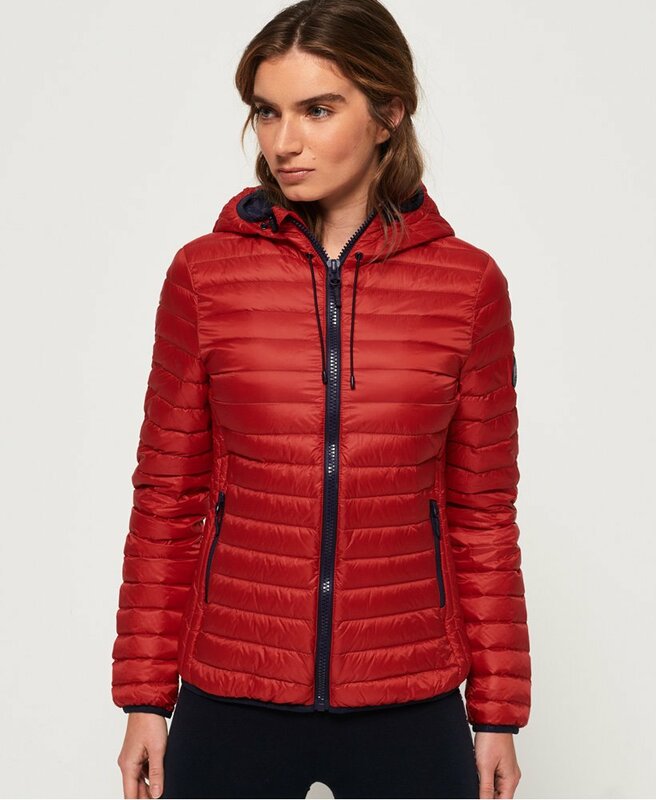 The jacket also features two zip fastened front pockets, to keep your valuables secure, and is completed with a Superdry logo badge on the sleeve. This is a great versatile jacket and will be the perfect finishing touch to any outfit.